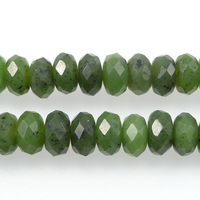 Jade is mined in British Columbia, Canada, and Taiwan. 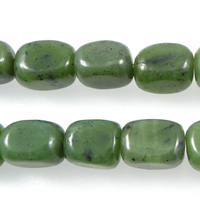 This semiprecious gemstone is made up of the silicate mineral called nephrite. The higher the iron content of the jade, the greener the stone's shade. Metaphysically, nephrite jade can instill a sense of calm and well-being, and can help to increase one's enjoyment of life. 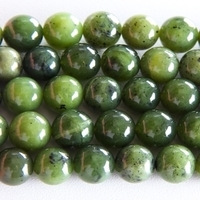 Jade 4mm round deep green New!